A project I’ll run with poet, publisher and artist Alec Finlay has been awarded funding from Creative Scotland’s Vital Spark awards. The Road North is a ‘translation’ of the Japanese classic Oku no Hosomichi by the poet Basho, in which he recounts a journey made in 1689 with his friend and fellow-poet Sora. They travelled north from the capital Edo (now Tokyo), heading into the mountains and across to the west coast. On their way they called on friends and visited sites famous from poetry and history, or for their beauty. 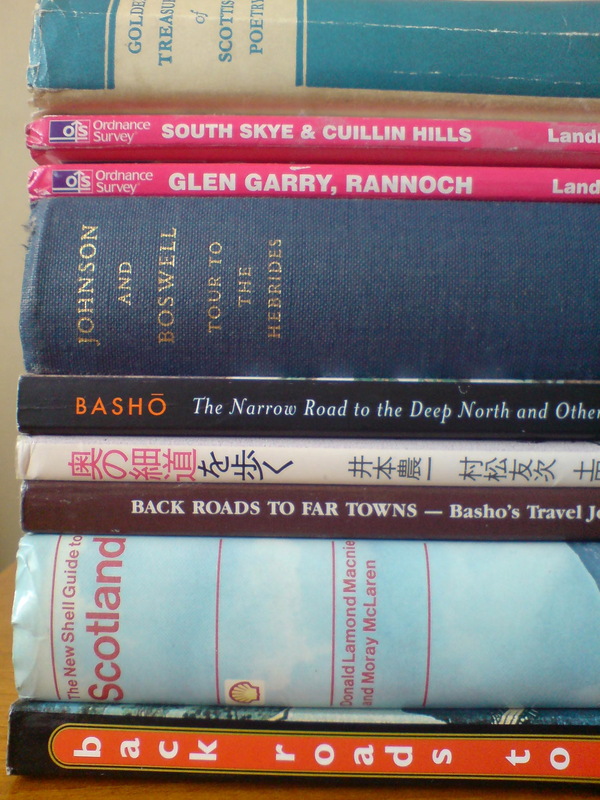 Basho’s book is written in 53 ‘stations’ or chapters, and for each of these we’ll find an equivalent place in Scotland. Basho describes mountains, waterfalls, famous trees, ruined castles, harbour-towns and rural villages, so there are plenty of equivalents for us to choose from! 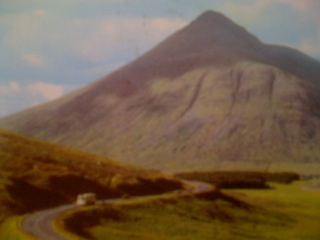 Ben Dorain definitely reminds me of Mount Fuji. Our road north – with many detours – will take us from Edinburgh to Inverness, west to Skye, and south again to Argyll and Galloway. Unlike Basho, we have modern methods of transport at our disposal, so rather than a single continuous journey we’ll make a series of shorter journeys to our various ‘stations’. For each ‘station’ we’ll write a ‘renga’, or verse-chain. This Japanese form is usually composed communally, and Basho and Sora wrote renga as they travelled, though these aren’t included in the book. We’ll write together, with writers and others we visit and meet on the way, and we’ll also draw on ‘found’ material we pick up on the way – signs, inscriptions, conversations – as well as drawing on information available on websites such as flickr. The renga will be made available via a website, each presented visually as a word-map, in the form of a skyline taken from that location, and as an audio file. The audio version will also be available in situ, using QR technology. Working in partnership with local organisations and landowners, we’ll leave a plaque which, when read with a QR reader on a mobile phone, will take you to the relevant webpage. It’s all new to me, but Alec has developed this form of what one might call site-specific publication in the Peak District. We’re planning to start our journeys in mid-May. Basho and Sora set out on the 16th, so we’ll do likewise, and hope the cold winter means the cherry blossom is still around then. Hi Ken, greetings from Germany!